Starship Troopers: Traitor of Mars DVD and Blu-ray release date was set for September 19, 2017 and available on Digital HD from Amazon Video and iTunes on August 22, 2017. The Arachnids are back and preparing a secret attack close to Earth! 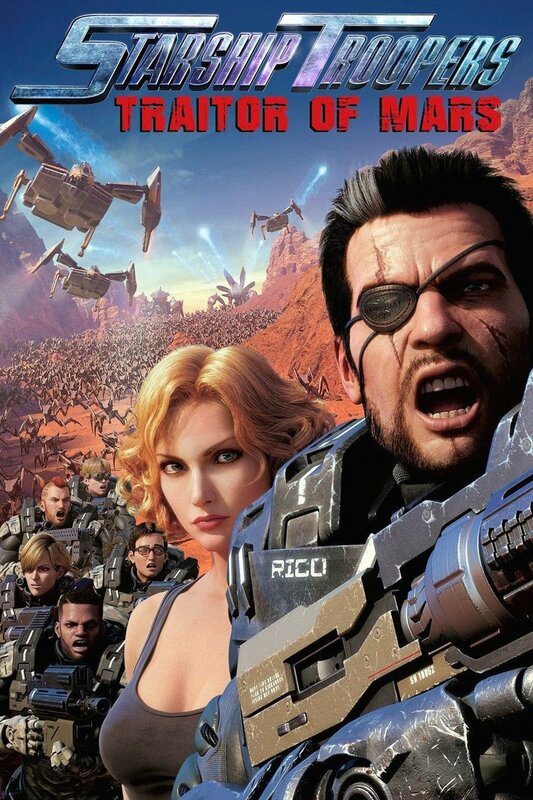 As the Federation takes most of its ships and troops far from Earth to prepare an attack on the Arachnid's home planet, General Johnny Rico receives a demotion and finds himself sitting out the battle with a bunch of new recruits at a Mars satellite station. While on what they believe is a cake walk mission, Johnny and the recruits learn that the Bugs' new target is their outpost. Johnny must use his vast skills to help the newbie defend the spot and prevent the destruction of Earth.